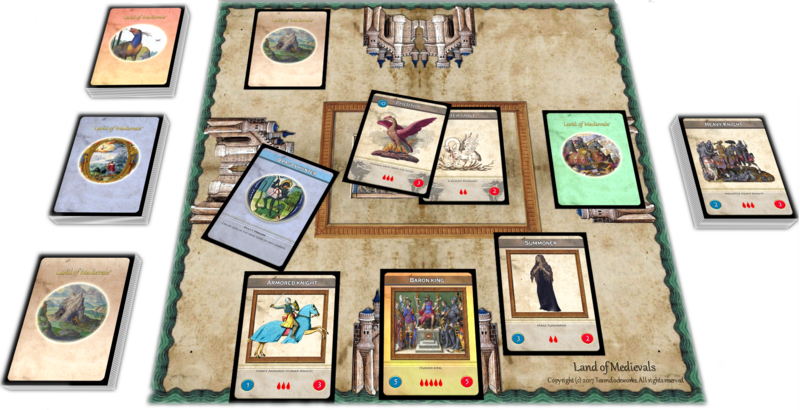 Land of Medievals is a Medieval Fantasy Print & Play board game with mechanics such as combat, dice rolling and improvement cards. Fight against fantastic creatures and opponent players, siege enemy castles and become the one and only King of the Land. 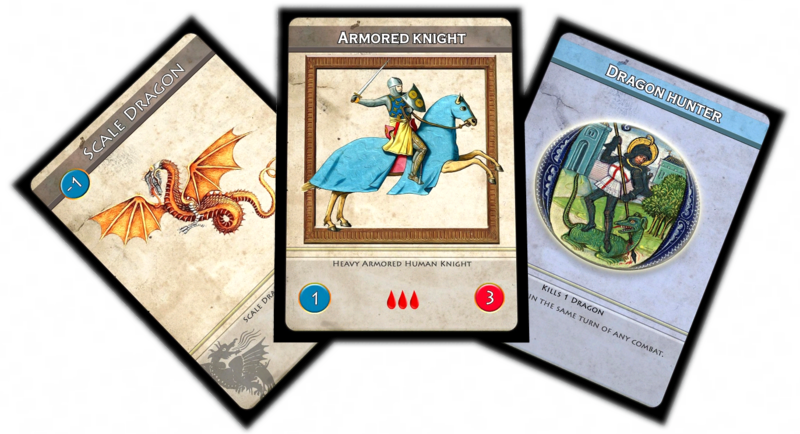 Inspired by ancient mythologies the game offers a unique gameplay, you will need to earn Army Units and Improvement cards for your faction, kill creatures at the outside encounters and make intelligent strategies using your cards to defeat opponent players. Fight against opponent players while you battle in encounters and recruit troops for your army and Castle. Each faction has a Castle and an army, you can explore the Outside searching for encounters against fantastic creatures and Siege enemy castles. All cards Poker Card size with bleeding zone. Includes Tuckbox PDF layout for 126 cards. This title was added to our catalog on January 24, 2017.